Sri Lanka Tourism Promotion Bureau in Colombo, Sri Lanka, has already twice showed confidence in Finesse Promotions expertise. In September 2015 we helped them with a B2B-event and a culture evening in Stockholm and in September 2017 we produced a successful consumer awareness campaign and an outdoor event in Kungsträdgården Stockholm with approximately 10.000 visitors during the day. The Embassy of Sri Lanka and the Sri Lanka Tourism Promotion Bureau has identified the big potential to promote Sri Lanka among Swedes as an uprising tourist destination. 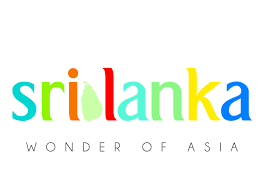 There has been a rapid growth in tourist arrivals to Sri Lanka from Scandinavia. A total of 21,589 tourists were generated from Sweden in the year 2016 which is 19% higher than 2015.